Claude Arpi: China loves Tibet: an unacknowledged victory for the Dalai Lama? China loves Tibet: an unacknowledged victory for the Dalai Lama? There was a time when the Chinese considered Tibet the most backward, uncultured part of the Middle Kingdom, mainly inhabited by barbarians. This is not the case anymore and this has important implications for the Tibetan ‘freedom struggle’. The old soldiers of the 18th Army who entered (invaded) Central Tibet in the Fall of 1951 would not believe their ears (and eyes). 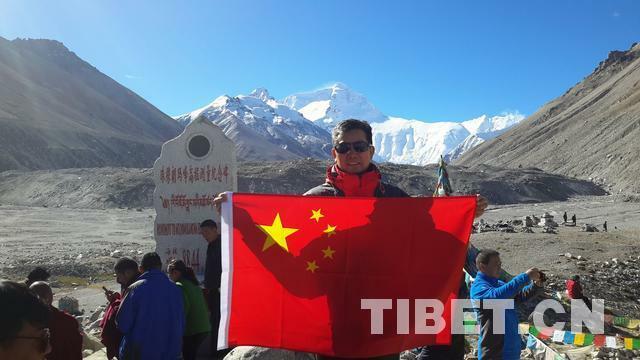 Wang Songping, a deputy director in the Tibet Tourism Development Commission admitted that all the places that a tourist went and spent money are being counted. Some officials explained the trick (it was later denied), they multiply the number of arrivals to Lhasa by a factor of 2.7 or 2.8, calculating ‘an average probability’ to account for the fact that most people visit two or three places. It was how the bumper harvest was 'counted' during the Great Leap Forward, when tens of millions died of starvation. Whatever the correct number of visitors is, the fact remains that Tibet has becoming a craze for the Hans of the Mainland …and this relatively new. This could have important implications for the future of Tibet. He admits: “For a long time, some people have turned a deaf ear to these facts and have considered Tibetan culture immutable and frozen. They have equated Tibetan Buddhism with Tibetan culture and labelled Tibet an isolated place, primitive and backward, where people live a hard, weird life. Arguably, Tibetans of different ethnicities are the creators, inheritors and developers as well as major protectors of Tibetan culture." Could have any Tibetans dreamed that the Chinese propaganda could speak that way about Tibet a few years ago. My only point is that even 20 years ago, one could not have imagined such writings which are ‘normal’ today. It is perhaps a hidden unacknowledged victory for the Dalai Lama, who, for decades, has been promoting ‘Tibetan Culture’ across the world. Is the live of the Tibetans better? It is another issue that needs to be looked into. Kashmir is Indian. Is Tibet really Chinese? Did Xi Jinping acknowledge the McMahon Line?